The OnePlus X was revealed this week. It is a low budget smartphone but it is also a beautiful device. The Xperia Z5 is about the same size as the OnePlus X, so we decided to compare them in order to see which one has more to offer. They are not in the same price range but we just wanted to see whether the difference between the prices really has a great deal of improvements to offer. Although it will be available for only $250, the OnePlus X is actually a pretty eye- catching device. It has a slim design and it is also quite light- weight at its 138 grams. It has an elegant, simple design and a premium feel to it due to the glass or ceramic back panel. It has a 5- inch AMOLED touchscreen with full HD resolution and 441 ppi pixel density. The 71.3% screen- to- body ratio is also great, turning the OnePlus X into an incredibly affordable but still impressive looking device. 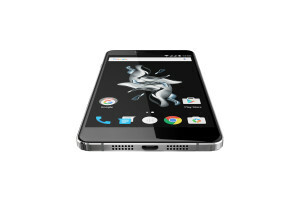 The OnePlus X is powered by a quad- core Qualcomm Snapdragon 801 processor clocked at 2.3 GHz. It is not exactly impressive for 2015 and it definitely won’t be a flagship device, but it is good enough for a $250 smartphone. 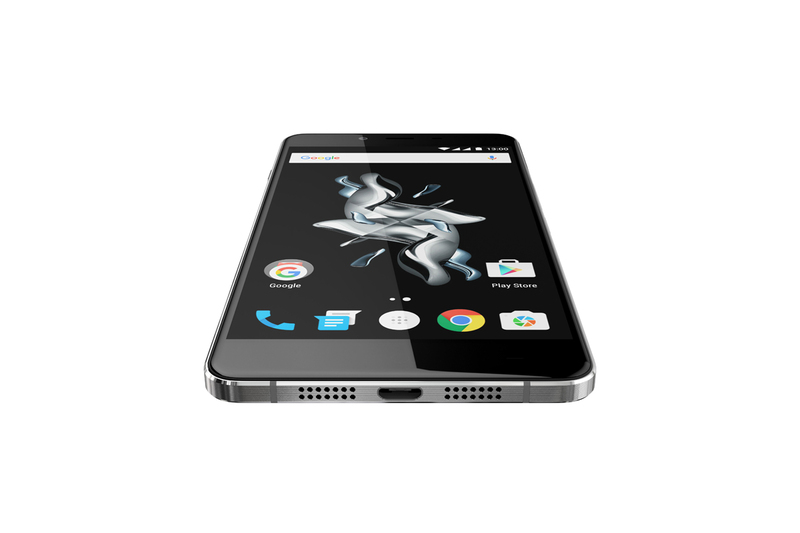 The OnePlus X has an Adreno 330 GPU and includes 3 GB of Ram. It comes with 16 GB internal storage which can be further extended by using one of the SIM slots of the OnePlus X as a microSD card slot which supports up to 128 GB external storage. The OnePlus X has a 13 MP back camera with 4128 x 3096 pixels resolution, phase detection autofocus and LED flash. it features geo- tagging, touch focus, face detection, panorama and HDR, just like the high- end devices that were recently released. It records 1080p@30fps and 720p@120fps video and it also has an 8 MP secondary camera which is better than the ones featured by the majority of more expensive smartphones. 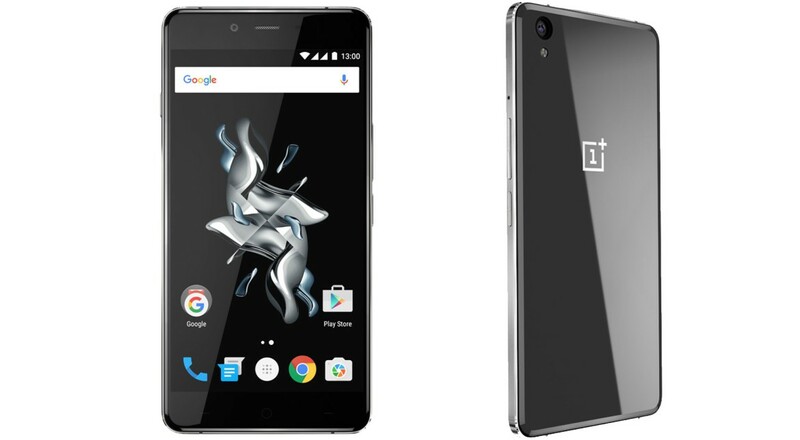 The OnePlus X runs on OxygenOS UI which is based on Android 5.1.1 Lollipop. It has a 2525 mAh battery that would definitely ensure a day’s battery life given the less powerful processor. It also has a micro USB port that works both for charging and file trasfer. The OnePlus X is not a flagship device and it doesn’t even pretend to be one. It is powered by last year’s main processor and it doesn’t have an impressive battery either. What it does have is everything a regular user would like to have in a smartphone, combined with great looks and an impressively low price tag. What is an unpleasant aspect of the OnePlus X is that it will only be available with an invite so there is no certainty on when you can actually become the happy and proud owner of a OnePlus X. 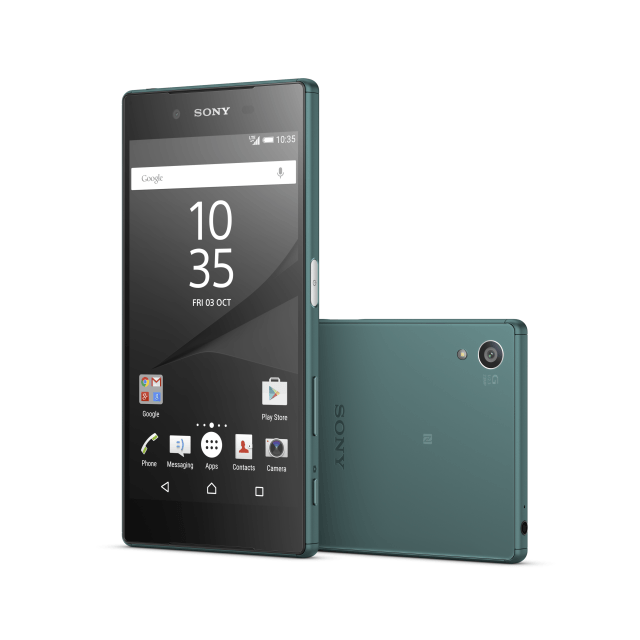 The Sony Xperia Z5 was one of the most awaited smartphones released this year. It made its debut last month and became available for purchase in October. Just like the OnePlus X, it has a simple design. We don’t really like the angular design, preferring more rounded edges, but it might be what others like more in a smartphone. Its back is also covered with glass, frosted glass to be more exact but it doesn’t have the premium feel of the much more affordable OnePlus X. 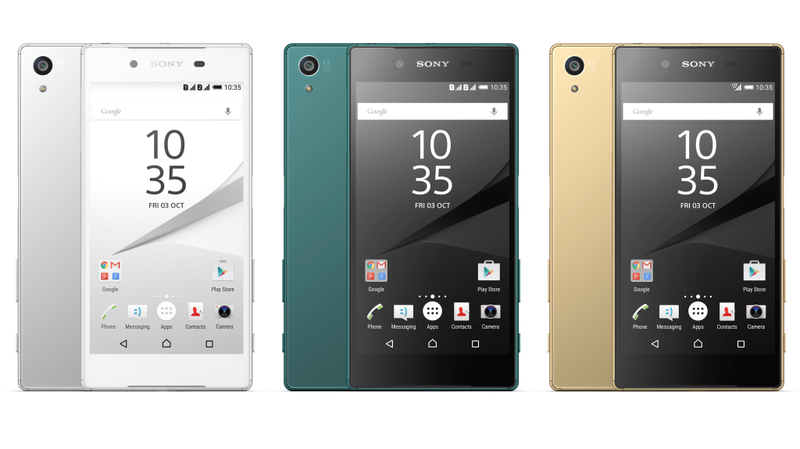 The 5.2- inch IPS LCD touchscreen of the Xperia Z5 is only a little bigger than the one featured by the OnePlus X. It also has a full HD display, but it only features a 428 ppi pixel density, which is lower than the one featured by the OnePlus X. This means that theoretically at least, the image provided by the screen of the OnePlus X should be crisper and clearer than the one of the Xperia Z5. On the other hand sucha small difference is hardly detectable with the naked eye so it probably won’t make a difference when choosing between the OnePlus X and the Xperia Z5. The Z5 is definitely more powerful than the OnePlus X. It has a Qualcomm Snapdragon 10 chipset with an octa- core processor. Four cores are clocked at 1.5 GHz while the other four are clocked at 2.0 GHz. It also has a more powerful, Adreno 430 GPU. The Xperia Z5 also has 3 GB of RAM just like the OnePlus X. It does offer a higher, 32 Gb internal storage and a microSD card slot which supports up to 200 GB external storage. The camera of the Xperia Z5 is definitely falling into a whole other category than the one of the OnePlus X. It has a 23 MP sensor and we all know that Sony cameras deliver great pictures. It has a 5520 х 4140 pixels resolution, phase detection autofocus, LED flash. It also features Geo-tagging, touch focus, face detection, HDR and panorama, just like the OnePlus X. The video of the Xperia Z5 records 2160p@30fps, 1080p@60fps and 720p@120fps videos with HDR. The secondary camera of the Xperia Z5 has fewer MPs than the OnePLus X’s. It only has a 5.1 MP sensor but this is able to record 1080p, HDR videos. The Sony Xperia Z5 also runs on Android 5.1.1 Lollipop, just as the OnePlus X. It has a better, 2900 mAh Li- Ion non- removable battery which features fast charging to make user’s lives easier. Apart from these differences, the Xperia Z5 also features a fingerprint sensor, which the OnePlus X lacks. Overall the Sony Xperia Z5 is a flagship device and this is reflected by its price too, which is a lot higher than the $250 price tag of the OnePlus X. Does the higher price always deliver greater value? Usually it does. It is the case with the Xperia Z5 also, which is undoubtedly a better smartphone than the OnePlus X. It has more power under the hood, a better battery, fast charging and a staggering camera system. But we do have to emphasize that it does cost almost three times as much as the OnePlus X. Of course, you don’t need an invite to be able to purchase it but it really takes out a great sum of money from your pocket to own it. If you don’t need or want the better camera and the slightly bigger battery, the OnePlus X could easily be enough for you. it does its job and it has a pretty good spec sheet for its money. If you prefer higher specs and the price is of no concern, then you should opt for the Xperia Z5 which has more to offer. Previous Motorola Droid Turbo 2 vs. Huawei Nexus 6P- Shatterproof vs. Latest Android- Which one to Choose?